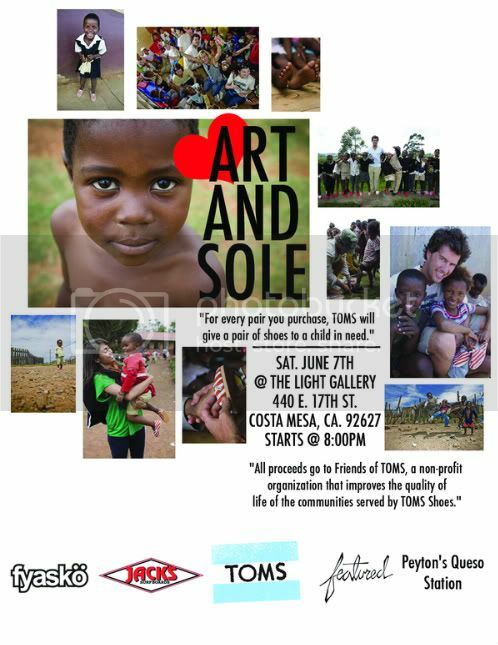 Custom painted Toms shoes by over 20 different Artists! Bring $$ for your chance to take home a one of a kind pair of Kicks! Will Crum Jamming Live after the Artshow!